Zend Studio for Eclipse has a number of pre-defined file extensions associated with a specific content type and editor. For example the .html extension has the Text/HTML content type and is by default opened with the Eclipse HTML Editor. 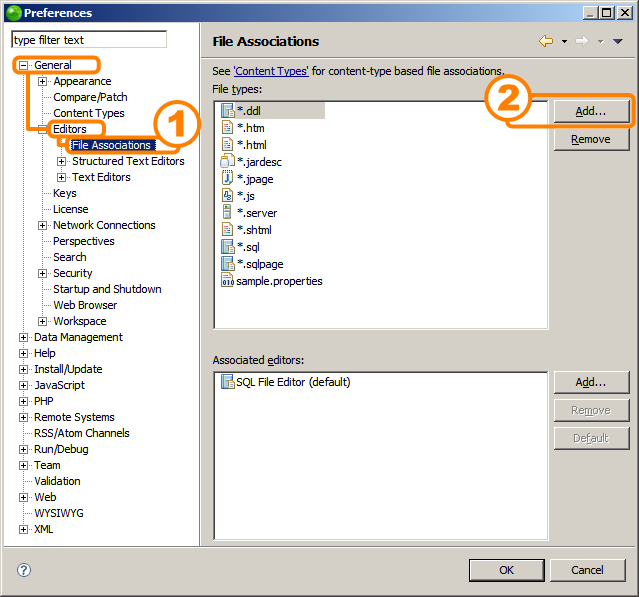 However, not all possible file extensions have pre-defined associations in Zend Studio for Eclipse. If you are trying to open a file with an unknown extension, the Eclipse platform doesn't know how to handle such a file. At this point the behavior differs, from error messages to total lockup of the program. The behavior basically depends on the environment (operating system and its configuration). To verify that the procedure was succesful, verify that the *.tpl files are associated with the usual set of PHP editors on the File Associations page. From now on the *.tpl files can be opened in Zend Studio for Eclipse. Similar procedure can be applied to other file types, for example *.template and *.module. 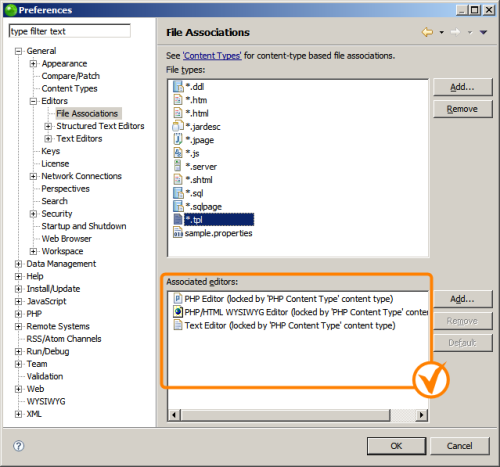 Excerpt: This article explains how to associate an unknown file extension (*.tpl, *.template, *.module) with the PHP Editor in Zend Studio for Eclipse. This article explains how to associate an unknown file extension (*.tpl, *.template, *.module) with the PHP Editor in Zend Studio for Eclipse.